UPDATE: After 18 years of severe chronic illness and disability, in 2013 I recovered my health using neural retraining. You can read my recovery story at sharonwachsler.com. Thanks. 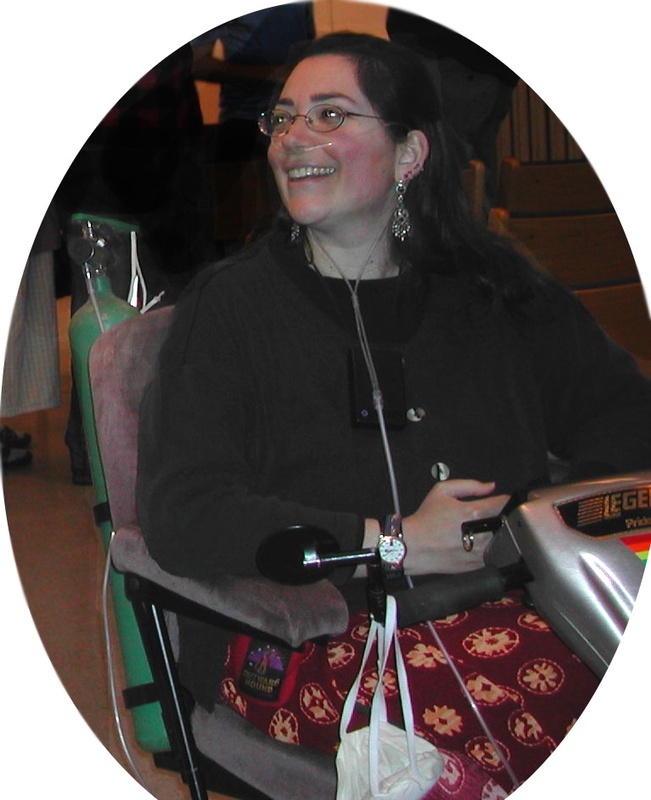 There is no short answer to the question “What is Sharon’s disability?” because she has several, and there have been many changes (mostly additions and progressions) over the years. Sharon was not born disabled. Just out of college, from 1992 though 1995, she unknowingly suffered a series of chemical injuries, culminating in several months of carbon monoxide poisoning. This damage left her with the chronic conditions multiple chemical sensitivity (MCS) and myalgic encephalopathy (ME) — as it is known everywhere except the US, where ME has the horribly misleading name of chronic fatigue syndrome (CFS), sometimes amended to chronic fatigue immune dysfunction syndrome (CFIDS). Out in the world in 2003, risking worse exposures by not wearing my mask. The rash where the tick bit me. She was confident that a course of antibiotics would put her right in a couple of months. 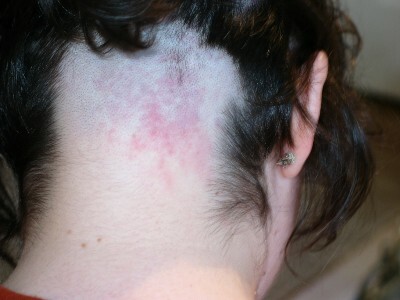 However, over time she got worse, and eventually she learned that not only did she have chronic Lyme, but two other tick-borne diseases (TBDs or coinfections) that had gone untreated or undertreated for over a year. One is called babesiosis or babesia and the other bartonellosis or bartonella. This constellation of multiple TBDs led to new disabilities as well as severe worsening of the old ones, including impairment in speaking/loss of voice (vocal-cord apraxia), immobilizing body pain, loss of muscle strength and control, and new forms of cognitive, sensory, and neuropsychological dysfunction. The intense psychological symptoms Sharon suffered with for two years, before antimicrobial treatment took effect, destroyed many of her most important relationships, along with her sense of self. Currently, Sharon is on oral, intramuscular, and intravenous antibiotics and antiparasitics, and requires pain medication to function. Most days she is on bedrest fulltime. On good days, she’s able to get around the house in her power wheelchair. Sharon needs assistance with activities of daily living and, when unable to speak, uses a combination of sign language, voicing, mouthing, and typing to communicate, depending on her own and the other person’s abilities. With aggressive treatment, she has gone through periods of great improvement; however, in the last two years she has worsened again. Further, one day’s exertion or exposure has sometimes caused her to relapse severely for months. Sharon looks forward to renewed and more enduring improvements in her health and functioning as her treatment continues.